T-minus 46 days. And counting. 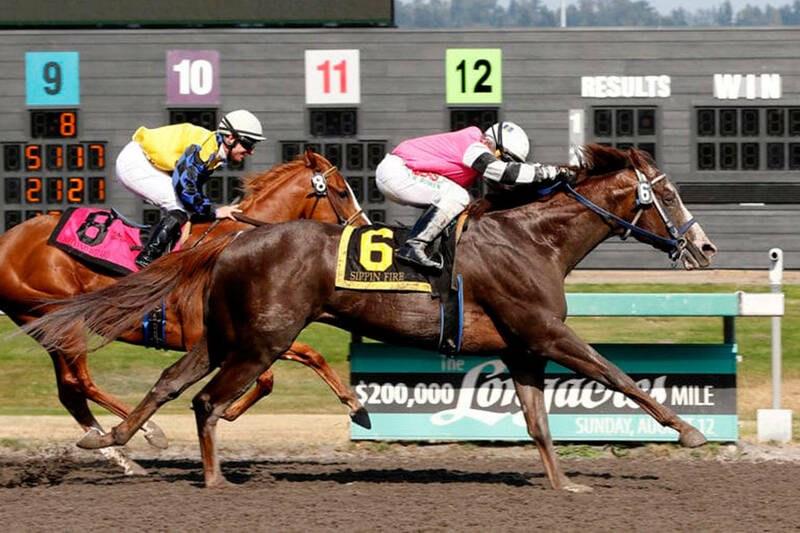 For Matt Hagerty, the clock is ticking – albeit probably not fast enough for him – toward his first ride in a horse race at Emerald Downs. When he does get that first mount, Hagerty officially will begin his apprenticeship. However, he’s hardly new to Emerald. He linked up with trainer Vince Gibson, and took to it fairly quickly. “I didn’t fall off too many times,” Hagerty said with a laugh. Hagerty says he has looked to jockeys Ricky Frazier and Joe Crispin for guidance. Good choices – Frazier set a track record with 157 victories in 613 mounts last year, a dozen of which came in stakes races. Frazier’s mounts earned $1,632,102. Crispin racked up 34 wins in 312 rides, and earned purses totaling $373,898. “I kind of think of them as role models,” Hagerty said. Regardless of how the season goes, Hagerty plans to stick with it.